# Post more, share more, collaborate more. # Sharing about different topic everyday // Monday - Outfit Of the Day // Tuesday: Inspiration (People, Product Review, Fashion Trend, Art, Photography, Quotes) // Wednesday: Soundtrack of the day (Cool music that I found) // Thursday: Outfit of the day // Friday: Tuesday: Inspiration (People, Product Review, Fashion Trend, Art, Photography, Quotes) // Saturday: To Do This Weekend Inspiration (Any ideas, tutorial, or DIY tips for weekend) // Sunday: Myself ( What I think, my work/portfolio, my doodles, my photography, reflection of the week, my real life stories, etc). # It's okay if I skip for acceptable reason such as no internet connection, but I could make double post for the next day. # Find new simple header and perfect font for my blog. # Blog walking again. Been so long did not doing blog walking. I'm blessed that I have some blogger fellas whose still visiting my blog and leave sweet comments. # Meet up with my blogger fellas in real life. # Collaboration project with more people, media, and brands. # Having at least two giveaway until the end of the year. I've been blogging from 2009, almost 6 years, OMG. Can't believe I'm still loving it even though there is some ups and downs. For me blogging is more than an online diary, it's like a portfolio for me. Some people found me, Yulia Rahmawati, through this blog. I'm not going to fake my life here, all I want is just sharing what happen in my life as real as I can so that I can remember and scrolling them from 2009 until then. When other people love my blog, that is definitely an honour and super huge bonus for me. Thank you for all my silent readers and blogger fellas and spammer as well. I'm reading all your comment, Guys. I feel so grateful and happy when I got emails from anywhere saying that they like my blog, or when my friends in real life told me that they actually read my blog, or when my blogger fellas simply keep coming back to my blog even though I'm not visiting back their home yet. Oh I'm burst into the tears of happiness and gratefulness. Thank you all so mucho. Also sorry for all the review/tutorial/request you ask that still not posted yet. Especially for any hijab tutorial request, so many tutorial request so little time to do a hijab tutorial. 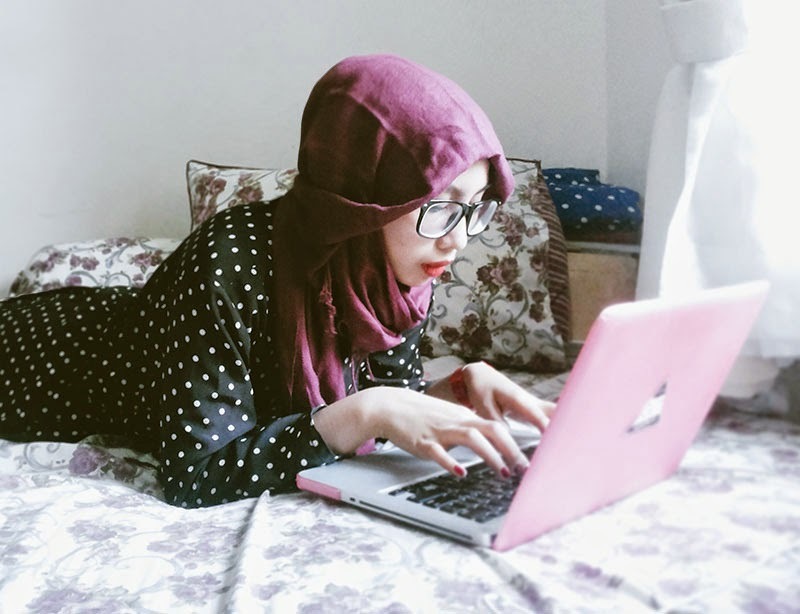 Maybe I am the only hijab blogger who never post a hijab tutorial on her blog, eh? Hehe. Anyway, thank you, thank you oh so much for all of you, Guys. I'll do my best this year. Wish me luck, wish us luck. #ILoveYou #BearHug. rajin ngepost tp males nulis nya huhuhu..
Well, actually I think you've being doing really fine till now. I liked and like your blog. And your new program is a real, even formidable, challenge. But stay relaxed and be careful. Blogging should not be a burden, stay but a relaxed hobby :).